Cascades Inc., leader in the recovery and manufacturing of green packaging and tissue products, officially inaugurated its new state-of-the-art, 284,000-square-foot tissue converting facility in Scappoose, Oregon. The grand opening of this US$64 million facility was celebrated by the Governor of Oregon, Kate Brown, local dignitaries, members of the community as well as many of Cascades’ partners, customers, suppliers and employees. The new plant is equipped with best-in-class converting lines, high-speed rewinders and folders, and one of the fastest bath lines in the world. 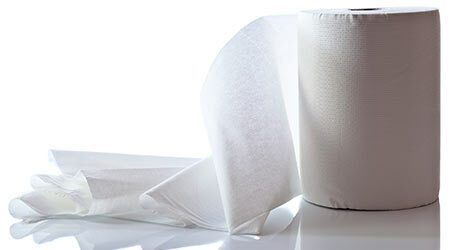 The new facility manufactures towel and tissue products under the Cascades PRO™ brand, a leader in the United States and Canadian Away-from-Home markets. The line of products includes hand towels, bathroom tissue, napkins, kitchen roll towels, facial tissue, wipers and dispensers. From bathroom to boardroom to lunchroom to classroom and beyond, Cascades PRO™ offers a wide range of proven, cost-effective hygiene solutions. “This new facility extends the breadth of our national coverage, and will enable us to better serve our customers in the southern and western United States. The Scappoose facility will also allow us to increase our converting capacity and integration rate as we will be using tissue paper produced at our St-Helens plant located just eight miles away. Our new facility will have a production capacity of nearly six million cases per year of virgin and recycled bathroom tissue products and paper hand towels. It also offers possibilities for future expansion” said Mario Plourde, President and Chief Executive Officer of Cascades. This ambitious project was also made possible through the involvement of the State of Oregon, Colombia County and the City of Scappoose. Cascades would also like to recognize the exceptional dedication of its employees and suppliers, whose commitment to excellence has made a difference from the very start.